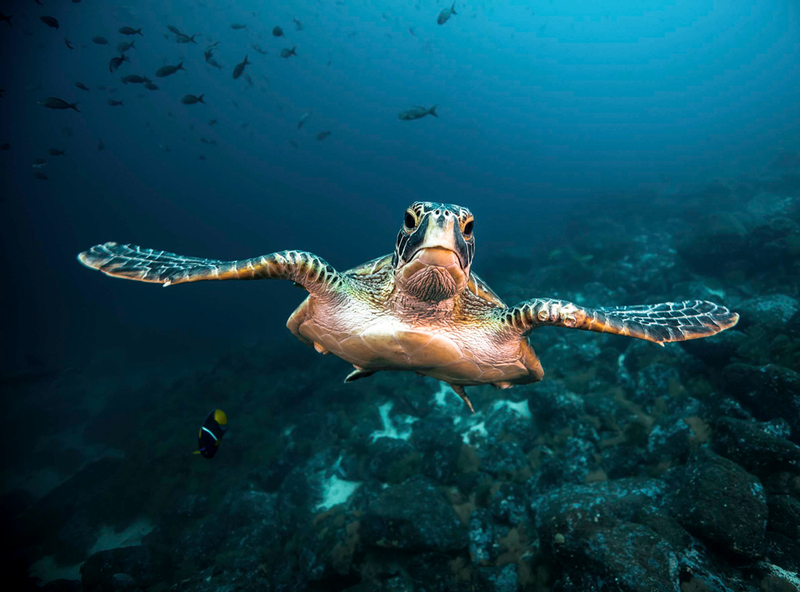 Philip Hamilton, a seasoned underwater photographer, has spent the past five years seeking out the stars of the seas, but also the smaller, lesser-known creatures. In his book, “Call of the Blue”, there are pin-sharp close-ups of a hawksbill turtle and a great white shark – and of a tiny xeno crab and a strange group of Lambert’s worm sea cucumbers. There are also great splashes of colourful reefs and gaudy anemones, and a silvery view into the mouth of a whale shark, the largest fish in the world. It was, he admits, a calculated decision to mix beautiful pictures with harsh words: “I’m not trying to deceive myself [by] hiding the problems and pretending that everything is perfect out there.” Yet he realised that the book would go unnoticed without beautiful photographs. 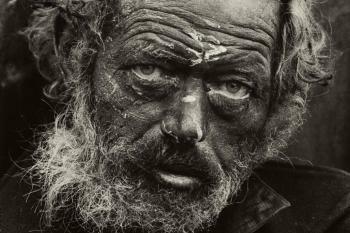 “A single photo can be the most powerful conservation tool,” he says. This magnificent book is his call to arms. Let’s hope it works. When most of us think of clams, a plate of pasta comes to mind. This creature – a giant clam – is closer to the blue race of aliens from “Avatar” than it is to linguine vongole. Its parted scalloped lips are spotted with iridescent blue algae – all the better for attracting a mate. Giant clams reproduce sexually, but are hermaphrodite so don’t have to be too choosy in finding a partner. The outer shell of this one looks like a layer cake of jewels. 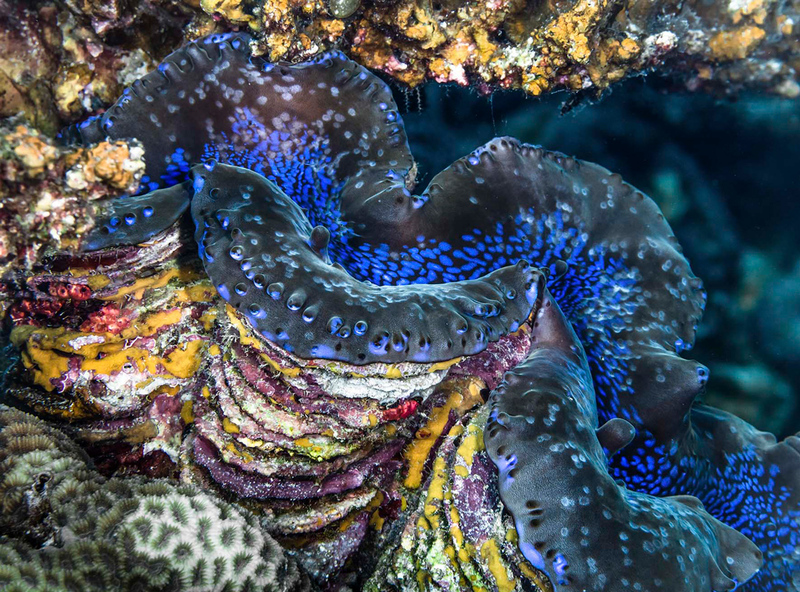 It’s big, too: giant clams can reach up to 120cm in width and weigh up to 200kg. 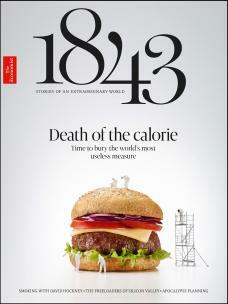 But as our appetite for seafood grows, their numbers are decreasing at a frightening rate. 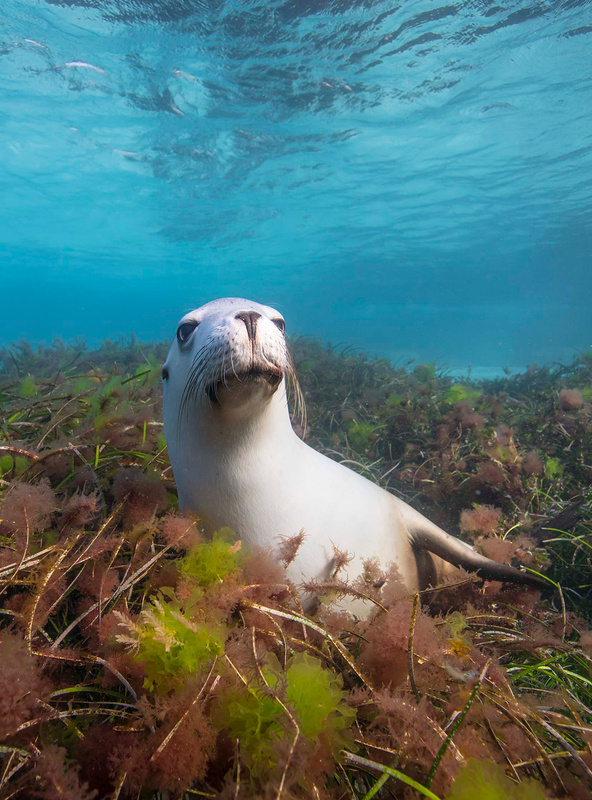 A single Australian sea lion looks into the lens with imperious disdain, as if he has just been disturbed from his afternoon nap in the soft vegetation at the bottom of a clear ocean. It is an intimate portrait, the apparent perfection of his sleek fur and well-groomed whiskers conjuring an image of a retired colonel. According to the Seal Conservation Society, there are an estimated 10,000-12,000 Australian sea lions remaining in the world, a number that may be declining. Adult males, like this one here, can weigh as much as 300kg. This is what a healthy reef should look like: a riot of colour, texture and life. It is carpeted in soft, frilly corals which range in colour from kale green to rhubarb red. But they are not plants: as the first chapter explains, reefs are created by successive generations of coral polyps, small creatures that, over millennia, build hard structures around themselves, fusing their limestone skeletons into intricate underwater seascapes. Swimming in and among them are busy orange and pink anthias (little fish), a lugubrious red grouper and a duo of Moorish idols, their elegant dorsal fins trailing behind them. 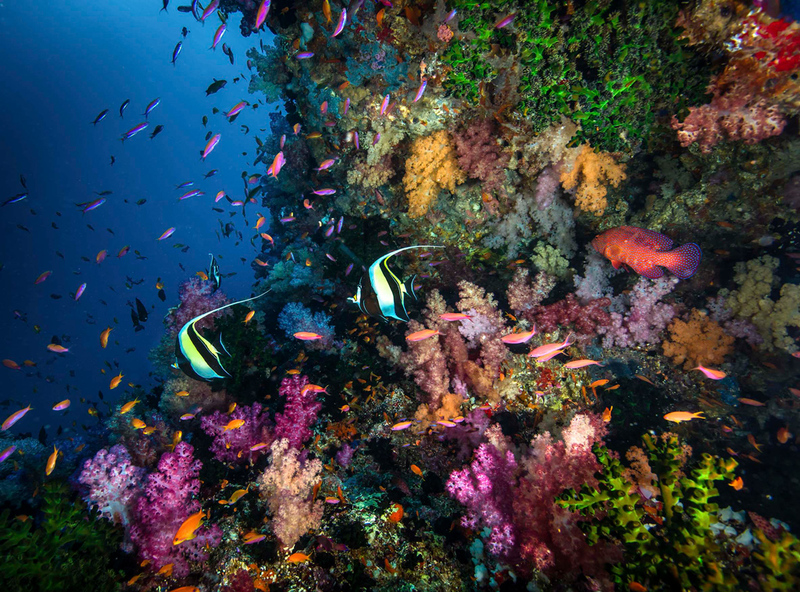 It’s an enticing scene that draws the viewer in to this vibrant, strange world, luring us to follow the reef, round the corner and dive into the blue. 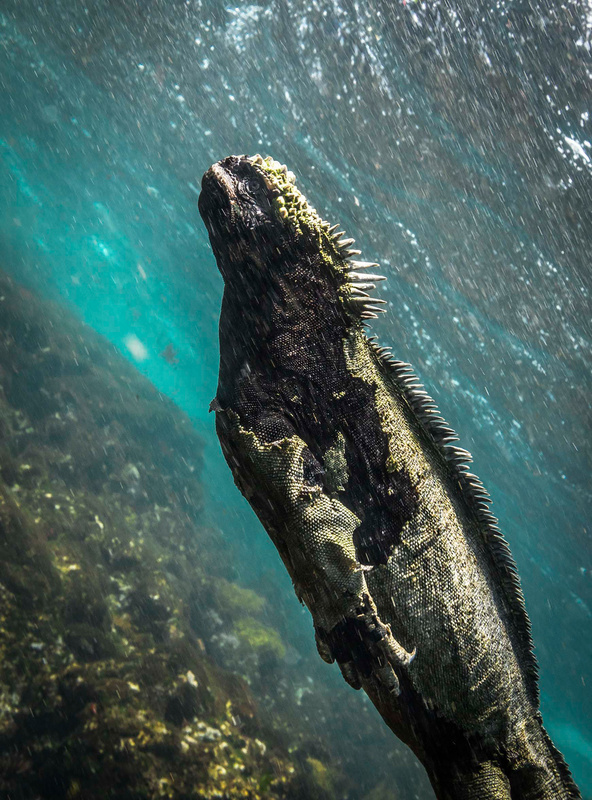 With their claws and scales, craggy faces and horny crests, marine iguanas – found only on the Galápagos Islands in Ecuador – look like classic movie villains. The only reptiles to feed exclusively on algae, they are in fact pretty harmless. The angle at which Hamilton has photographed this fellow, his front legs pinned to his sides, makes it look as if he is beaming himself up to the surface. The expression on his face is serious, not fierce, turning him into an unlikely comic hero. In 1969 the first pygmy seahorses were formally described. That they had escaped the attention of scientists for so long is not surprising: they are tiny (no bigger than a fingernail) and extremely well camouflaged, using special cells in their bodies to change colour in order to avoid predators and hunt their own mini prey. 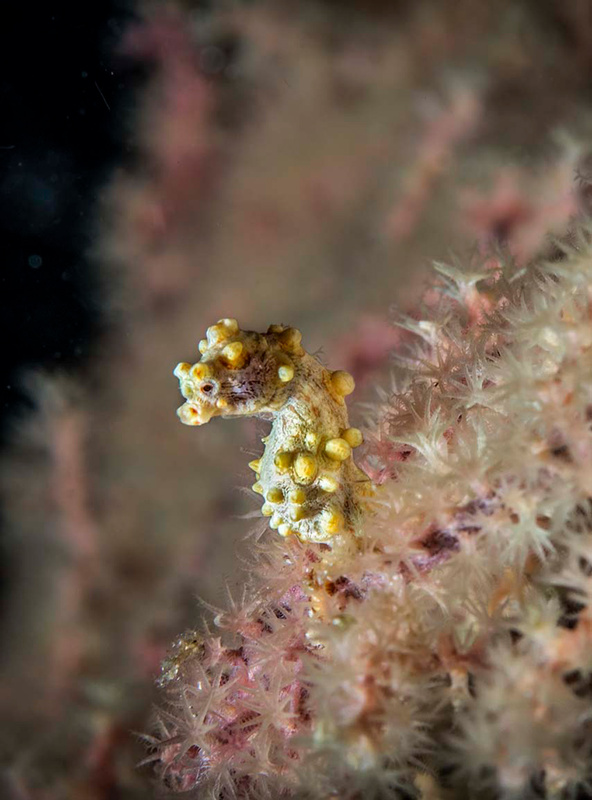 Like their full-sized cousins, pygmy seahorses have a romantic bent: each morning they perform a delicate courtship dance to affirm their relationship. 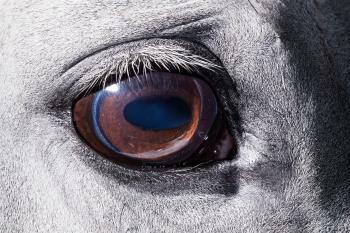 Hamilton has photographed most of the seven known species for “Call of the Blue”; the resulting images have been blown up to many times their actual size. This little chap is a Bargibant’s pygmy seahorse. Named after its discoverer, it lives on fan corals in the Indo-Pacific and grows warty tubercles on its body to blend in with the coral polyps of its host. There is a whole chapter devoted to sea turtles, with stunning close-ups of the different species. They come from an ancient lineage stretching back over 120m years. Alongside crocodiles, they were the only large, four-legged creatures to have survived the last great extinction. Whether they will survive the anthropocene – the current geological era, distinguished from those before it by human activity – is still to be seen. They are threatened by fishing (an estimated 42,000 are intentionally caught each year and many times that number get snagged up accidentally in fishing gear), demand for their shells, habitat loss and pollution. Green turtles are named for the colour of their cartilage and fat, which used to be scraped from the shell, dried and turned into turtle soup. This one is swimming towards the camera; though it is beautifully lit, there is a sad expression on its face. “Call of the Blue” has many dramatic photographs of sharks, but this giant hammerhead is perhaps the most arresting. 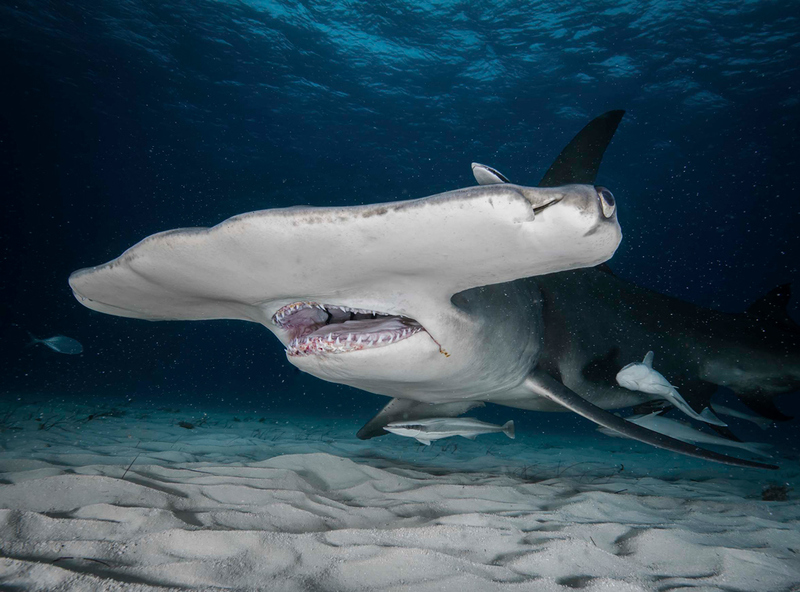 The physiognomy of hammerheads is bizarre – the eyes on either side of their broad heads give them a prehistoric appearance that is at the same time fascinating and terrifying. But it’s the snaggle teeth in the open mouth of this shark that draws the eye in. The gums appear to be stained with blood, and there is what looks like more spilling out of one side of his mouth. Most shark species are endangered these days, thanks in large part to demand for their fins – shark’s fin soup is still considered a delicacy in many parts of the world. 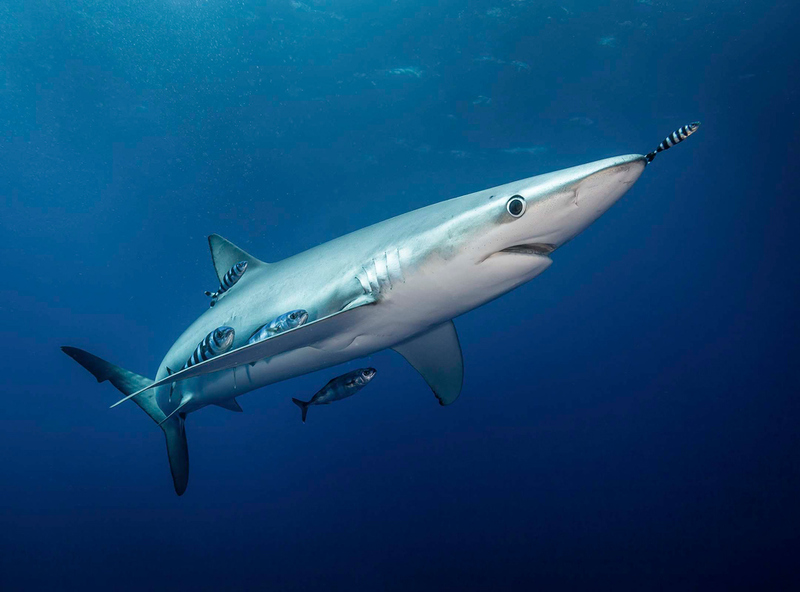 This blue shark looks like a rubber toy – so sharp is the picture and so perfect the sheen on his skin. He has a big round eye and is accompanied on his hunting expedition by striped pilot fish, who get protection from great sea hunters in return for keeping them free of parasites. Blue sharks live in cooler, temperate waters (some have been seen off the coast of Cornwall in recent years). Although they look like killer missiles, they rarely attack humans. 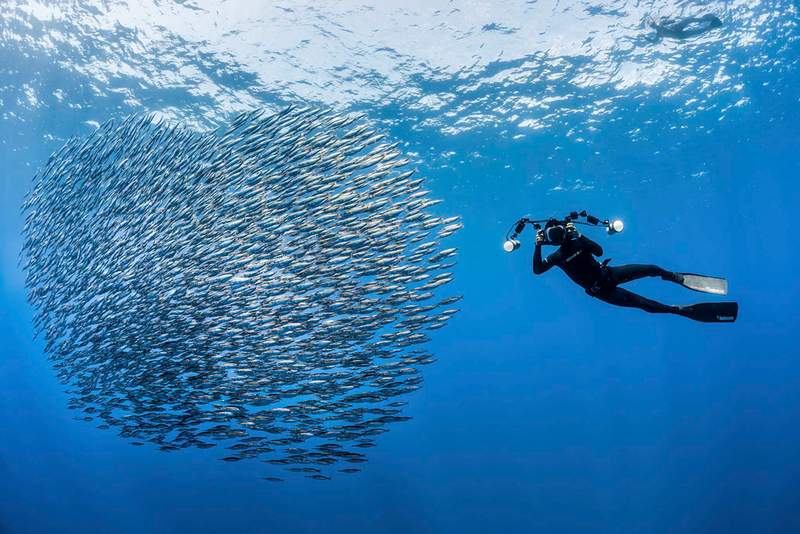 When predators approach them, smaller fish sometimes respond by forming bait balls, tightly packed formations that reduce their exposure to their hunter. In this photograph, though, Hamilton (pictured) has happened upon a school of fish assembled in the shape of a heart. 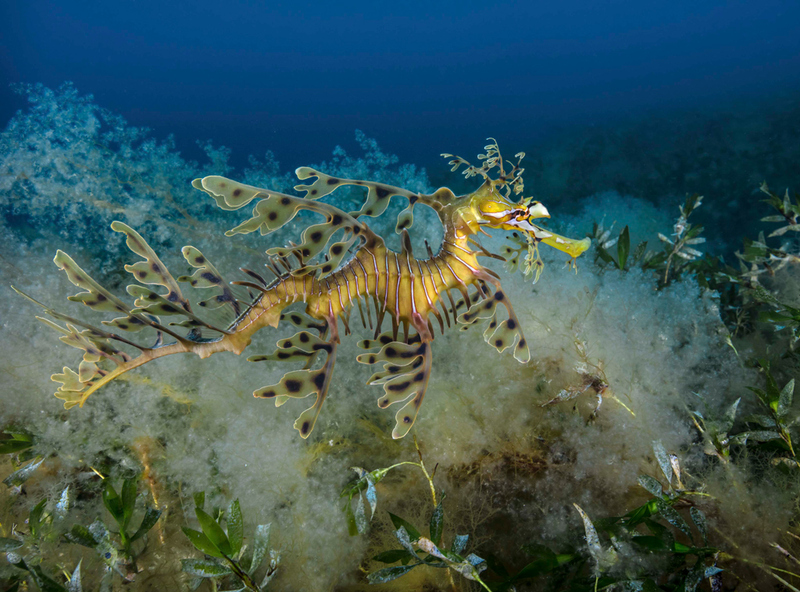 This fantastical creature – a leafy seadragon – is straight out of a fairytale. A type of seahorse, its wispy, spotty fronds allow it to hide in kelp-covered rocks and sea grass. It is beautiful and fragile – just like its ocean home.